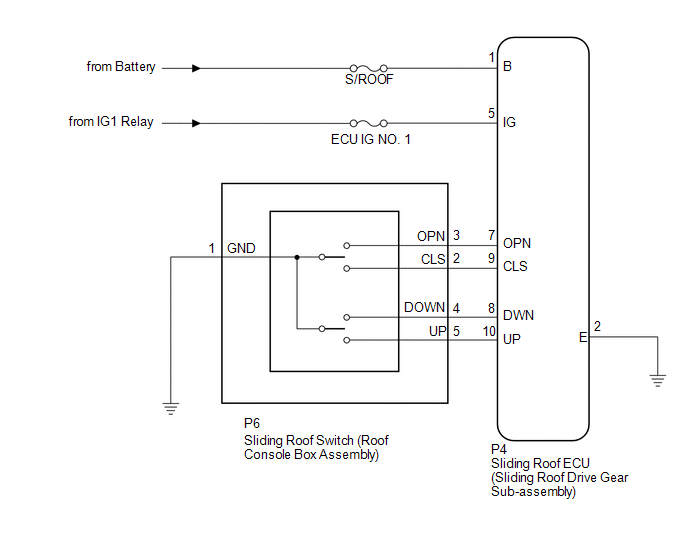 When the sliding roof ECU (sliding roof drive gear sub-assembly) detects a motor malfunction and the sliding roof operation is stopped, DTC B2341 is output. When the sliding roof ECU (sliding roof drive gear sub-assembly) detects a gear malfunction and the sliding roof operation is stopped, DTC B2344 is output. (a) Check the sliding roof auto operation (See page ). DTC B2341 or B2344 is not output. (a) Check that the sliding roof ECU (sliding roof drive gear sub-assembly) can be initialized (See page ). Sliding roof ECU (sliding roof drive gear sub-assembly) can be initialized. 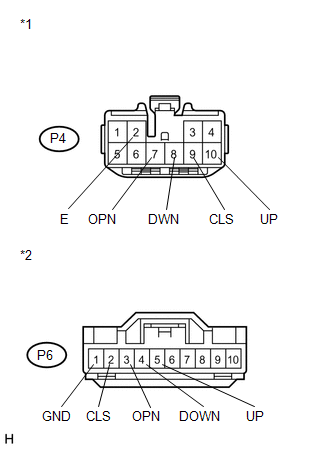 (a) Disconnect the P6 switch connector. 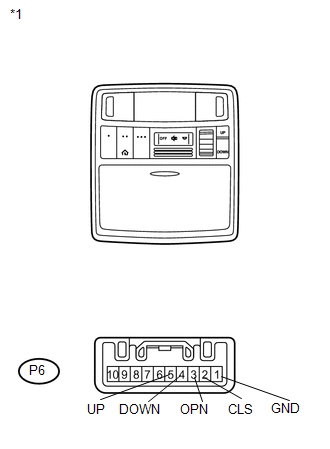 (a) Remove the sliding roof switch (roof console box assembly) (See page ).